hello all, and happy new year! please i need some explanation about refining selections to "new layer and mask". 4) select "new layer and mask"
i'm not interested in how the quality of the selection could be enhanced (i.e. 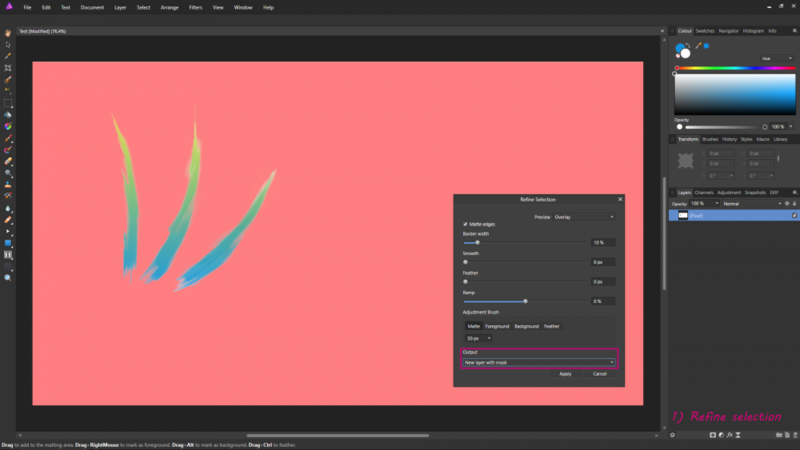 applying some feather during the refine process): instead, i can't understand how the new layer (with mask) is generated. I would expect a copy of the original layer, with a mask that describes the selection. the mask appears how expected (by me at least), but the new pixel layer shows something weird (to me). in the attached image, if you hide everything except "layer - created by new layer and mask", strange artifacts are clearly visible. they disappear if the mask is activated again. if i make a copy of the original layer and apply a copy of the mask to it, the result is similar - but not identical: if you alternatively make visible the new layer or the background copy (with their masks), you can notice that something in the image subtly changes. if you make both the layer visible at the same time, the quality of the selection improves. it improves even more if you make a second copy of the background copy and mask. now, the improvement of quality does not surprise me so much: i guess it depends on the fact that the areas that are left erroneously slightly transparent by the mask get more opaque when displayed one above the other. 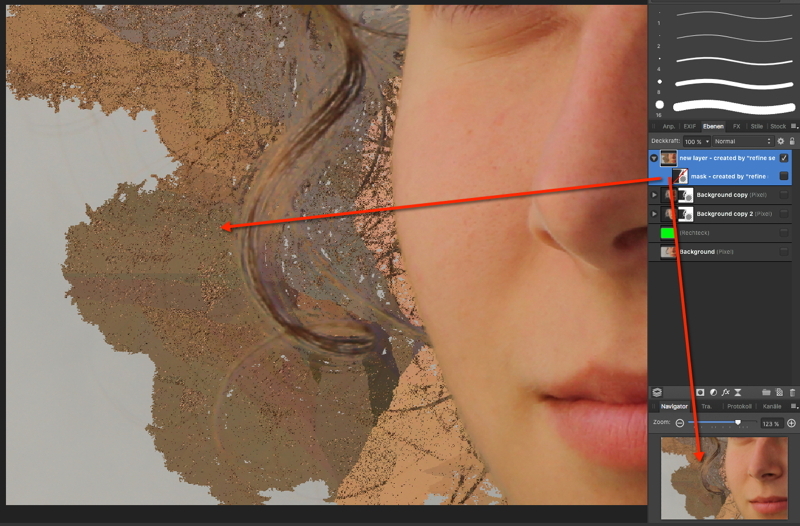 but i really cannot understand why the new layer created by "refine selection" is not a copy of the original layer, and what the artifacts are. i'll be grateful of an explanation or any clue. I've just tried your steps with a new document and I get the same results as you (see below). Personally I don't think this is how it should work, so to me this looks like a bug. 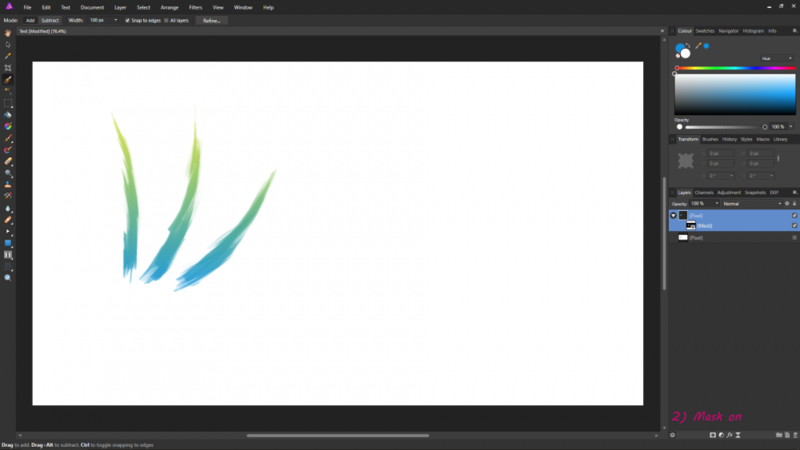 When selecting 'New Layer With Mask' I would expect the new layer that it creates to be the same as the original layer, but obviously it's creating something else. ... seen that strange behaviour with layer masks before and IMO too this is a rendering/drawing bug here! @Sima: yep, it's the same thing - even if in your test the artifacts look smoother. @v_kyr: yes, i mean that. so it looks like something goes wrong, maybe in the process of creating the new layer or just in the rendering step. i'll wait a little to see if someone from the AP crew reads these posts and gives us an explanation; if not, i'm going to repost this in the bugs section of the forums. thank you for your replies and your time.